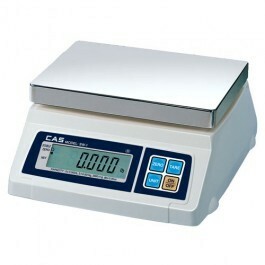 SIMPLE, SOLID AND DEPENDABLE, ACCURATE SCALES BENCH SCALES ARE RELIABLE IN ALL ENVIRONMENTS AND CONDITIONS, WITH OR WITHOUT INDICATORS AND EXTRA FUNCTIONALITY. Accurate and mounted on an heavy duty stainless steel industrial platform, this product is suitable for washdown applications. 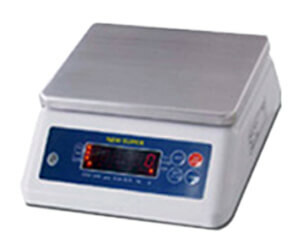 Numerous functions are available including multiple tare, net/gross, totalizing and checkweighing. Built for extreme durability, and fitted with an improved resolution display, the HW series is fast and reliable. Multiple sized models are available that range from 30kg to 600kg capacity, all mounted on a sturdy, thick cast stainless steel platform. Fast and stable with an easy to read display, the EWH ranges from 30kg to 500 kg of capacity depending on the model chosen. 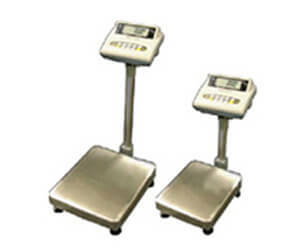 With a powder coated base structure, the scale is durable and easy to clean. 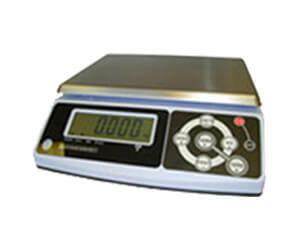 Mounted on a 14″ by 16″ stainless steel base which is mounted on a super-duable cast frame, this scale is suitable for bench and platform applications. Models range in capacity from 60kg to 150kg. 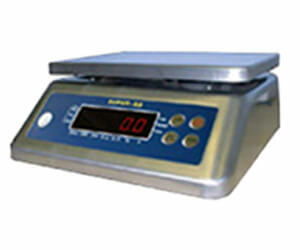 Approved by Measurement Canada and legal for trade ready, this scale is ideal for delis and markets. Also ready to help with customers with cash-back calculator, tare and super fast readings for quick service. For use in restaurants, specialty stores, markets, Industrial applications, and more. 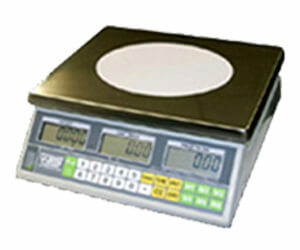 Great for basic weighing, checkweighing and counting; the FD-131 scale is great for a variety of functions. 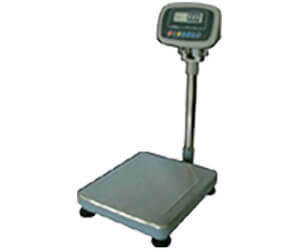 Models are available in 15kg and 30kg capacities. 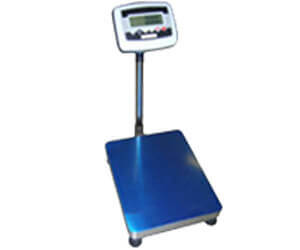 With an extra large display and highly visible backlit feature, this weighing scale is easy to use and easy to read. Available in 15kg and 30kg capacities. Stainless steel body and platform for washdown applications, the Super-SS is available in 6kg and 15kg capacities. 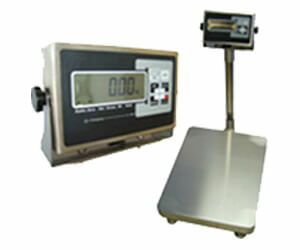 Also performs counting, check-weighing and other functions. Stainless steel platform and ABS plastic body for washdown applications. 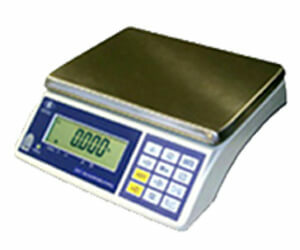 Light, fast responding and easy to clean; a versatile scale to help with check-weighing, counting and much more.